Algae control: AWTT floating covers will help prevent the buildup of algae. Algae are a diverse group of aquatic organisms that have the ability to conduct photosynthesis. Certain algae are familiar to most people; for instance, seaweeds (such as kelp or phytoplankton), pond scum or the algal blooms in lakes. The term “algae” covers many different organisms capable of producing oxygen through photosynthesis (the process of harvesting light energy from the sun to generate carbohydrates). What do algae feed on? 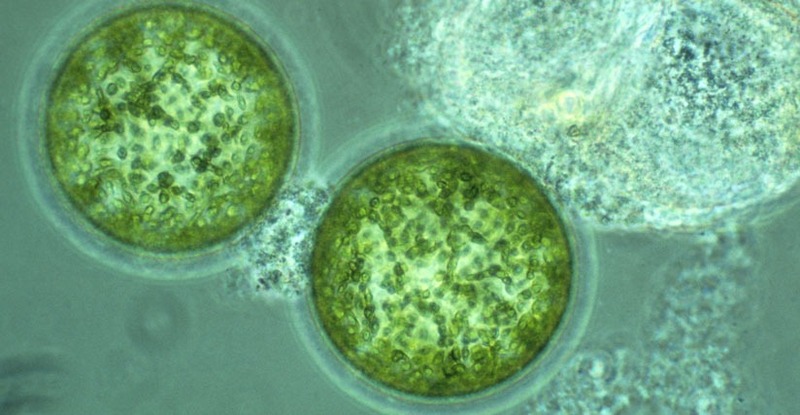 As a general rule, algae are capable of photosynthesis and produce their own nourishment by using light energy from the sun and carbon dioxide in order to generate carbohydrates and oxygen. In other words, most algae are autotrophs or more specifically, photoautotrophs (reflecting their use of light energy to generate nutrients). How can we control algae? Algae growing in a drinking water reservoir or an aerated lagoon system will increase both the TSS and the CBOD5 of the effluent, deteriorate water taste, plug filtration systems and increase chemical treatment cost. In systems treating municipal wastewaters, the effluent TSS and CBOD5 will often be much higher than if the algae had not been present. 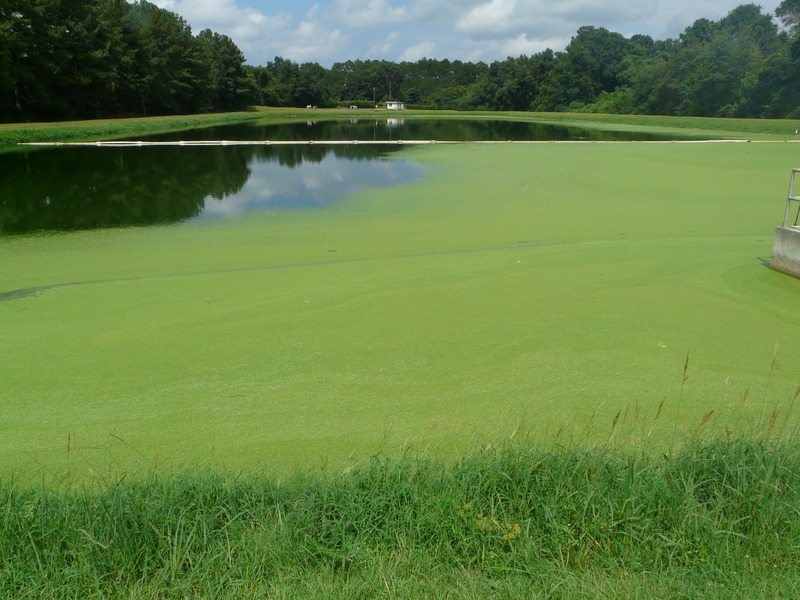 Since algae diminishes water quality and play no beneficial role in drinking water and wastewater lagoons, preventing algal growth is important to those responsible for the design and operation of these systems. 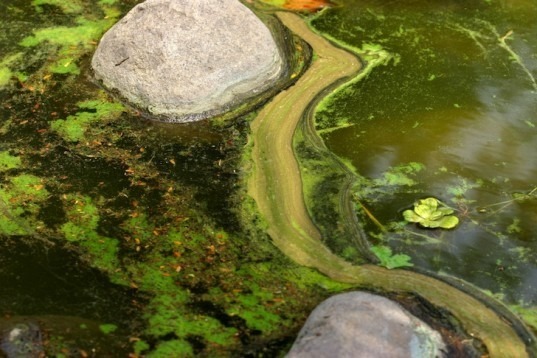 Some algae are toxic to humans and dogs. Water can also become unsuitable for fish, swimming, and other animals. A good cover will prevent light from entering the water column and will prevent the growth of algae and other noxious weeds. Solid and modular floating covers have been used to shade aerated lagoons for decades. In the case of aerated lagoons, such shades should not cover the entire lagoon surface, especially with mechanical surface aerator where leaving sufficient open area is important. Installing a floating algae cover such as the Armor Ball® cover (91% coverage) or the Hexprotect® cover (99% coverage) will block sunlight and eliminate algae formation.